Mr Ken Sloan joined Monash University as the inaugural Deputy Vice-Chancellor and Vice-President (Enterprise) in 2017. Please read more on his Senior Staff profile page. Sarah Newton is Monash University’s Pro Vice-Chancellor (Enterprise), a position held alongside Deputy Dean, External Relations, within the Faculty of Medicine, Nursing and Health Sciences (MNHS). An accomplished strategist, Sarah has coordinated and led enterprise strategies at both Faculty and University-wide levels. In these joint roles Sarah is responsible for the coordination of large scale projects on behalf of MNHS with government, industry and philanthropic partners, designing and establishing a number of externally-facing research institutes in this role. She has worked with clinical partners to develop world-class infrastructure integrated with research and education activity, and is currently acting as the University project director for the Victorian Heart Hospital initiative. Internationally, Sarah has managed a large portfolio of curriculum licensing activity in the Middle East and initiated an onshore student recruitment strategy generating significant growth in student numbers over the past four years. Zara has 25 years’ experience in the public and private sectors in Australia and England. She has a strong understanding of stakeholder engagement and development, strategy development and implementation, employability programs and scholarships / philanthropy, commercialisation and project management. Alastair has over 20 years of combined experience in the research and technology commercialisation sectors. In the UK, Alastair was Head of Life Sciences at Cambridge Enterprises and also worked with the independent technology transfer company, Plant Bioscience Ltd. In Australia, Alastair facilitated the establishment of the $30M Trans-Tasman Commercialisation Fund, expanded the Monash University Industry Engagement and Commercialisation Group and is the Chair of Knowledge Commercialisation Australasia. Maria is a registered Patent and Trade Marks Attorney. She has considerable experience in intellectual property management, with previous roles at medical research institutes (Burnet Institute and Austin Research Institute) and numerous small biotech companies. Prior to this, Maria was a research scientist at the Walter and Eliza Hall Institute as well as in London and Colorado. Maria has also taught biotechnology at RMIT and Swinburne Universities. David manages major collaborations at the Monash Innovation Office, and works closely with Engineering and Information Technology. He oversees the identification, protection and commercialisation of early stage research opportunities. He also works with contract research and consultancy agreements, Cooperative Research Centres (CRCs) and strategic planning. David has been with Monash University’s commercialisation team for many years, following six years as an NHMRC principal researcher. He has also run a technology consultancy business and sits on the board of a number of start-ups and CRCs. Kathy is Director, Commercialisation (Life Sciences) having responsibility for a dynamic team commercializing an extensive portfolio of assets(therapeutic, diagnostic, biomaterials). She has 25+ years in biomedical/pharma sector and has a strong track record in deal-making, finance and IP, bolstered by a solid background in drug development across a range of therapeutic areas. Previously, as a senior executive at the Queensland Investment Corporation, Kathy managed numerous investments across four venture capital funds (two in the USA) leading to healthy investment returns. Kathy has a PhD and Masters in pharmaceutical research, a Masters in IP Law and is a Graduate of the Australian Institute of Company Directors. She has held 17 board positions, past and present. Chacko facilitates industry collaboration and IP commercialisation with the Faculty of Medicine, Nursing and Health Sciences. Chacko can assist in protecting early stage inventions, analysing commercial viability and identifying industry partners. He is experienced in identifying and building early stage technologies as a part of a Melbourne based private biotechnology innovation portfolio. He has managed life science related translational research projects in USA, Europe and India. Chacko holds a PhD in Medicine and Bachelor in Engineering. Angeline is responsible for commercialisation of technology from Physical Sciences at Monash and is the primary contact for Monash Science, where she was previously the Business Development Manager. Prior to this, she worked in commercialisation at the Murdoch Children's Research Institute (MCRI), where she was responsible for business development and IP management, as well as the Royal Children's Hospital and the Victorian Infectious Diseases Reference Laboratory. Angeline is an expert researcher on Hepatitis B virus and is listed as an inventor on a large portfolio of patents (36 granted patents, 21 of which are US patents). Her research work was developed into a start-up company that licensed the IP to all the major diagnostic companies worldwide and was subsequently sold. Her professional interests include research and development, technology commercialisation, project management and strategic planning research. Shane focuses on the commercialisation of inventions and discoveries from Engineering and Science disciplines. He has a background in mechanical engineering, R&D and product development of Medical Devices. His engineering experience includes working in both start-ups and multinational corporations on the development of new products and helping them reach the market. Prior to joining Monash Innovation Shane worked for IP Australia where he developed a wide range of skills in relation to the intellectual property protection. David works with discoveries and inventions from Information Technology and Engineering. As a data scientist he has contributed to the IP portfolio and analytics strategy of an early stage energy management company. He has been involved in a medical technology start-up and participated in the entrepreneurship programs MedTech’s Got Talent and the Monash Accelerator. He holds a Ph.D. in Computer Science and presented his work on ABC’s Science Show. David is a fluent German speaker and has worked in various engineering and research roles in Europe. Julian focuses on the commercialisation of discoveries and inventions from Medicine, Nursing and Health Sciences as well as Pharmacy and Pharmaceutical Sciences. He previously supported IP commercialisation and industry collaboration in the Faculty of Science. He worked at the Walter and Eliza Hall Institute (WEHI) where he concentrated on technical due diligence, market research and technology promotion, and at the University of Liege, where he assisted researchers in the areas of IP and technology commercialisation, industry partnerships and collaborative projects in Health Science. He has also been involved with a start-up in the health space and has more recently participated in entrepreneur’s programs such as ONPrime and Medtech’s got Talent. Julian is a fluent French speaker. Michael's areas of focus are biomedical discoveries and inventions from Medicine, Nursing and Health Sciences as well as Pharmacy and Pharmaceutical Sciences. Having worked in a commercially-focussed therapeutics development program at Massachusetts General Hospital, Michael has insight into the processes and challenges in identifying, protecting and translating early stage technologies. Prior to this, Michael undertook graduate and postdoctoral research in the fields of haematology and immunology at the Walter and Eliza Hall Institute. In addition, Michael has experience and qualifications in intellectual property law and business. Jordan heads up New Ventures activities for Monash Innovation. As an inventor on numerous patent applications and a patent manager for a spin-out company, Jordan has firsthand experience in translating technology into a start-up company. He has insights into the opportunities and challenges researchers and industry face in seeking to commercialise inventions. Jordan won the 2016 CSIRO-sponsored Knowledge Commercialisation Australasian Scholarship to attend the AUTM Annual Conference in San Diego. Gillian is a registered Patent and Trade Marks Attorney. Having practised in a national intellectual property (IP) firm, she has considerable experience in managing IP portfolios, drafting and prosecuting patent applications, and providing general IP-related advice. Prior to this, Gillian was awarded an Embark Initiative Fellowship to study localised forces on chemically modified substrates at Trinity College, Dublin, Ireland. She has a Ph.D. in Minerals and Materials Science from the Ian Wark Research Institute, South Australia, and her technical expertise lies in the areas of physical chemistry, materials science and mineral processing. Mariea provides administrative, secretarial and office management support to the IP Manager and IP and Contract Associate to enable the office to perform its functions efficiently and effectively. She has over 20 years’ experience in the patent field. Lynette provides a range of services to assist with queries around commercial agreements and royalty payments. She also tracks and reports on university commercialisation activities. Lynette has a background in science and has worked across research, industry and government sectors in marketing and business development. She previously established a chemicals micro-business that was subsequently sold. In his role as an Industry Partnerships Manager, Matt identifies and develops partnership opportunities for Monash with industry, government and community organisations. Matthew has over a decade’s experience working both in Australia and abroad at industry-leading firms such as KPMG and GE, as well as the Federal Government. His career has focussed on business development, corporate strategy and relationship management. He also has a research background in nanotechnology. Emma identifies and develops multi-disciplinary strategic partnership opportunities across Monash University to grow new and emerging market sectors. In her role as an Industry Partnership Manager, Emma’s focus lies in agtech, energy and sustainable communities. Prior to joining the Industry Partnerships team, Emma has worked in the energy, property and social enterprise sectors, focussing on partnership development and strategy. Emma is also a Monash alumnus, having completed a double degree in Arts and Mechanical Engineering, before returning to complete the Master of Sustainability. Poppy works with her team across disciplinary boundaries to enable design-driven, industry-relevant research through competitive grant schemes, contracts and external partnerships for the Faculty of Art, Design and Architecture. She and her team facilitate strategic research and business development to enable researchers to work effectively with industry, government and the wider community. Poppy has over 15 years’ experience working in Australia and the UK in arts management, and higher education management and research development. Bev works across disciplinary boundaries with her team to facilitate research grants and contracts with suitable external partners. Bev works within Arts and across the University to engage staff in the development of competitive research grants and contracts, including ARC linkage grants. Bev leads the Research and Business Development Team, to enable researchers to work effectively with business, government and the wider community. Bev has over 20 years management and business development experience in higher education in the UK. She has extensive social research expertise, and considerable success in bidding for national and international projects and partnerships. Vanja leads business development of specific areas of research at Monash Arts. Vanja has project and proposal management experience in the university and international development sectors. In the Faculty of Education Vanja project managed commercially and grant funded research and professional development programs. Prior to this Vanja worked with the Organisation for Security and Cooperation in Europe as well as in different UN agencies. Vanja is fluent in Italian and Spanish. George has overall responsibility for industry engagement in the faculty. He actively promotes interdisciplinary research and works to build key relationships with external organisations. George has worked in a range of industry-related research projects and has a strong record of building key relationships with both private organisations and government departments. He has an active commitment to the promotion of interdisciplinary research and has been involved in collaborative research activities with a number of areas across the University. His research interests relate to the theory of the firm including mergers and acquisitions, downsizing and transaction costs. Edward's areas of expertise are strategy, entrepreneurship, international business and change management. He has extensive experience in executive education, and has taught in French, Indonesian and Mandarin as well as English. His specialist areas in executive education include strategy and leadership. His industry interests include agribusiness, manufacturing, education and natural resources. Katya leads a large, creative group that includes specialist teams for external engagement (industry, alumni, academic visitors and major events), international partnerships, student recruitment, and communications. The goal of the team is to build the international reputation of the Monash Business School through outstanding stakeholder engagement. This includes extensive communications and thought leadership relevant to a changing world, reflecting the knowledge, quality and rigour of the School’s teaching and research across key business disciplines. Louise oversees strategic engagement, business development, commercially-focused activities and international relations for Monash Education. The team engages with Australian and international partners in consultancies, professional development programs and contract research as well as international relations initiatives. Our core mission is to develop and maintain strategic alliances that support and enhance the Faculty’s research and teaching. Louise has over 25 years of business development and global engagement experience in the higher education sector in Australia and the UK. She has held senior roles in three Australian universities and with the British Council and now leads the Engagement team in the Faculty of Education. Marc collaborates with industry for projects at Monash Engineering, drawing on the wide-ranging and significant talent of researchers in the faculty. Marc works in partnership with the leadership team of Monash Engineering and aligned institutes and centres to deliver mutually beneficial research projects with our industry partners. He supports interdisciplinary research and develops meaningful relationships with external organisations including industry, government and community partners. Marc has over 25 years of experience in Infrastructure, Manufacturing and Services in Australia and internationally as an Electrical Engineer, Project Manager and Business Development Executive. He has worked in management and delivery of power sector development projects, maintenance of large infrastructure assets and project management within the commercial construction sector. Within the Services Sector Marc has held senior HR positions and more recently Stakeholder management and Business Development roles. Yoni's professional experience is in AgTech, FoodTech and the Water sectors. Yoni's previous roles were with aquaculture, hydroponics and algae ventures in operations, product development and business development. Yoni has managed and worked closely with operational teams, engineers, scientific researchers, entrepreneurs, consumers, suppliers, product developers, investors, lawyers and government officials across three continents. Yoni holds a bachelor degree from the Technion - Israel Institute of Technology and a MSc and PhD from Tel Aviv University. Yoni considers himself as a student of life and is thrilled to join the Faculty of Engineering to work with Monash researchers and industry to create impact. In addition to his research in the areas of information visualisation and visual analytics, Tim fosters engagement between industry and Monash Information Technology, an area of particular interest to him given his experience working in industry. Tim received his PhD at the University of Sydney, was a post-doctoral fellow at Monash and a visiting researcher at Microsoft Research in the USA. He then worked as a senior software engineer at Microsoft, a highlight of which was shipping the Code Map software dependency visualisation tool with Visual Studio 2012. He has now returned to Monash University and co-directs the Immersive Analytics Initiative and is a founding member of the Monash Adaptive Visualisation Lab. Lynne works with industry partners to collaborate and engage with Monash IT. If you have a complex business challenge or a blue sky idea and would like to discuss the future of your innovation initiatives, Lynne would be delighted to introduce you to the wonderful talent at the faculty. Chris drives engagement with industry and government to develop executive education programs and to enhance student experience through strategic partnerships. Chris is responsible for business development and industry engagement activity for both the legal sector and wider business sectors, aiming to provide outstanding legal professional development and executive education programs. Chris also manages and leads local and international partnerships, international programs and the careers/student experience portfolio. Chris has worked in digital marketing, business development and executive education in the media, education and not-for-profit sectors for more than fifteen years. 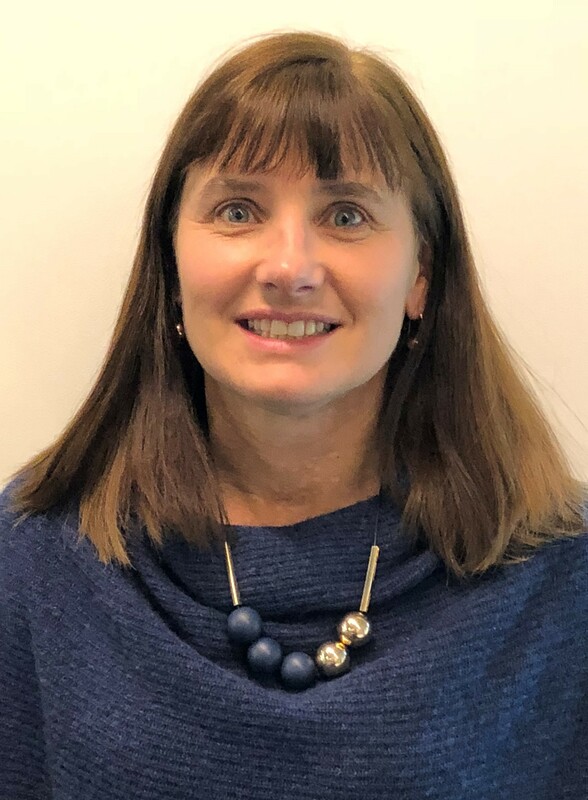 Annabelle commenced in the position of Senior Business Development Manager (SBDM) at Monash in November 2016 after four years at the University of Melbourne as SBDM. She has considerable experience in the design and submission of successful written and F2F proposals, tenders, contract negotiations for research, innovation and teaching and learning commercialisation. Annabelle works with key stakeholders (academics and industry) to get the job done. Annabelle is a Chartered Marketer with qualifications and experience in business, teaching and commercial training and development. She has over 30 years experience in T & D, working and negotiating with government and industry in Australia and overseas with online, F2F and blended delivery opportunities. Annabelle has received industry awards and recognition for her design, delivery and industry engagement programs. Darcelle provides business development support at the faculty of Medicine, Nursing and Health Sciences. Darcelle supports commercialising of intellectual property developed by the faculty and developing relationships with the corporate sector and government for grants, tenders and industry engagement. She has over 15 years experience in early stage research in the biotechnology sector, in asset development, intellectual property management, technology transfer and business development. Darcelle has worked as a registered Patent Attorney and in translating technology into an ASX listed start-up company. Joy supports business development at the Monash Institute of Pharmaceutical Sciences (MIPS), working with researchers and industry to reach mutually beneficial outcomes. An industry experienced business development professional, Joy has provided business development and project management services to a range of organisations operating in the biotechnology sector, including both established and start-up biotechnology companies, contract service providers, research institutes and universities. Most recently she was employed as Director, Business Development at Biota, following prior experience as Chief Commercialisation Officer at EQiTX Limited, General Manager of VacTX Pty Ltd and Business Development Manager at CSL Limited. Greg is responsible for strategic partnerships with industry, government and not for profits and the effective transfer of commercially relevant research outcomes. Greg has broad experience in the development and delivery of strategic programs across a wide range of disciplines, industries and geographies. He has a core of expertise in team development, organisational change and the commercial interfaces between government, research organisations and industry. Adam has been involved in IP commercialisation and industry collaboration at CSIRO as well as in a start-up in the med-tech sector. He primarily focused on areas such as technical due diligence, Industry collaboration, IP analysis, market research and technology promotion and development, Adam has a Bachelor of Science (Biotechnology) from Swinburne University of Technology and Master of Business (Science & Technology) from Monash University. Madeleine currently holds dual roles at Monash - Director Industry Engagement for the Office of the Deputy Vice-Chancellor (Enterprise) and Director Monash Industry Team Initiative (MITI). Double degree qualified in engineering and commerce, she has extensive senior engineering management and consulting experience in industries such as chemical, industrial and oil and gas both in Australia and overseas. Having delivered large scale global multi-disciplinary projects, Madeleine has vast industry knowledge and connection. She is responsible for driving strategies to engage industry, government and not-for-profit sectors for successful collaborative partnerships across the university. She prides herself on being able understand the needs of industry to identify and instigate valuable university connections. Madeleine is also responsible for establishing and delivering the award winning MITI program that partners industry and multi-discipline student teams to create innovative solutions for real-world problems.